The first shots of the 2017 European Tour season will be struck on Queensland’s Gold Coast, with the Tour announcing its schedule will begin at the Australian PGA Championship at RACV Royal Pines Resort from December 1-4. The PGA Championship will be played the week after the World Cup of Golf is contested at Kingston Heath in Melbourne, from where it is hoped a good number of European Tour members will be tempted to remain in the country to tee it up in Queensland. The fact that the Tour will then head to UBS Hong Kong Open the week after the PGA is another potential incentive to remaining in this part of the world, to get early Race to Dubai points under their belt before the Christmas break. The Tour will then return to South Africa for the BMW SA Open from January 12-15; before the traditional ‘desert swing’ starts with the Abu Dhabi HSBC Golf Championship from January 19-22, followed by the Commercial Bank Qatar Masters from January 26-29, and culminating with the Omega Dubai Desert Classic from February 2-5. 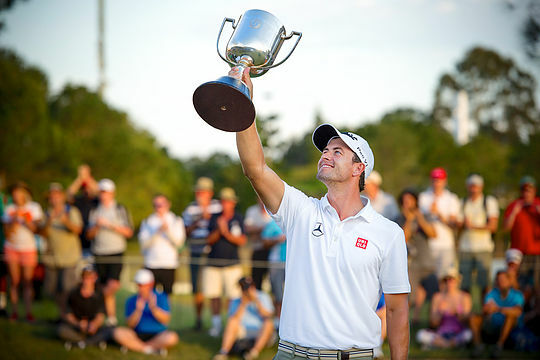 Queensland’s Adam Scott has already announced his intention to return to the Australian PGA to enjoy another ‘home’ event on the Gold Coast, where he took out the championship in 2013.